It might be time Captain Planet gets a makeover. New photographs from a Japanese satellite reveal Earth's true color is closer to 50+ shades of gray than plain blue and green. The most up-to-date image of our planet shows a majestic range of rich hues—none of which so much as borderline resemble the old captain's aqua mullet. Back on October 7th, Japan Meteorological Agency launched Himawari-8. 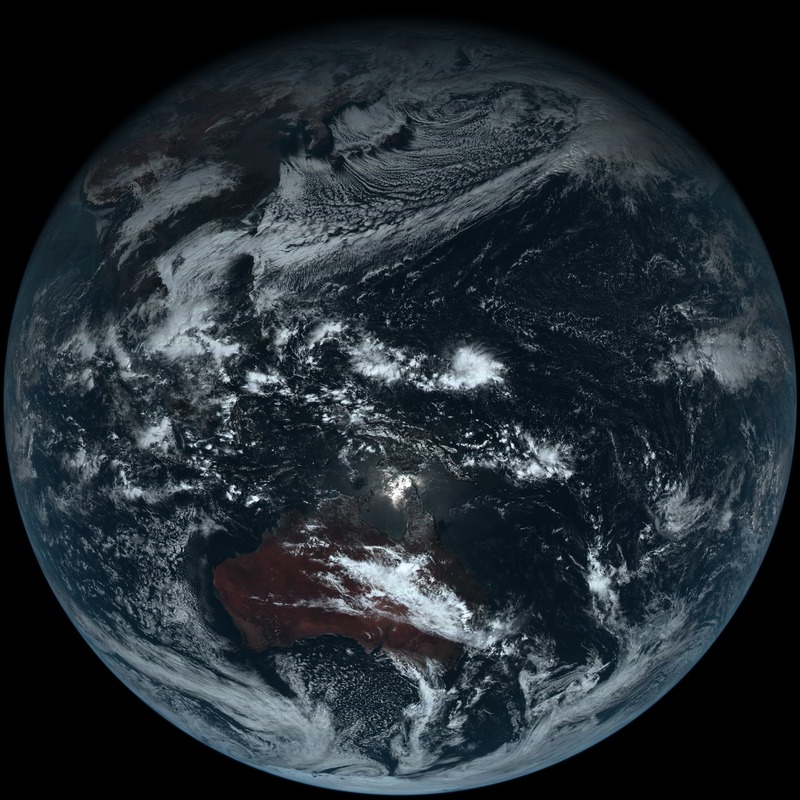 The weather satellite used each of its 16 wavelength imaging bands to capture the photo from over 22 thousand miles away. Although the ensuing image doesn't look a whole lot like it would to a regular human eyeball, it reflects our planet's most natural colors. The moody navy and charcoal mingle with swirling ivory clouds above Australia's deep sepia desert. It's pretty remarkable. In 1946, shortly after WWII ended, Earth got its first legit photograph from space. 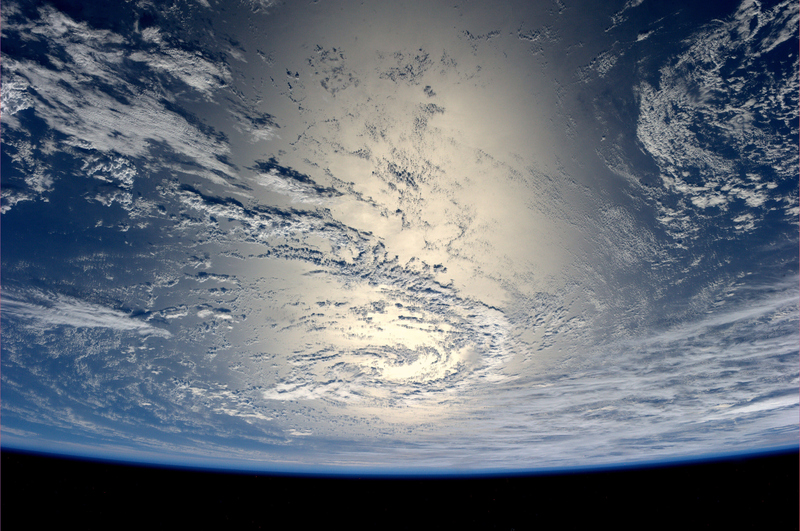 The black-and-white images were taken from only 65 miles above Earth's surface. That's a laughable distance in comparison to Himawari-8's position—roughly 338 times farther than the original V-2 missile. It's true that the Earth is always changing. Even in the span or 20 or so years, the planet can shift a ton. That part isn't news. This image, though, is capable of fully blowing minds in a very real Welcome to Earth way. Right?! You can peep the full-sized Earth photo (a whopping 11,000 x 11,000 pixels, apparently best viewed when downloaded) at JMA's website. I, for one, actually think Captain Planet would look hella fly with a multi-faceted silver coif.